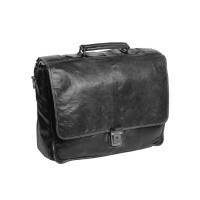 Stylish leather briefcase Aberdeen. Made of high quality cookburn leather, rich in details and finished with a unique vintage look. This leather briefcase has a wrap-over closure with clasp. 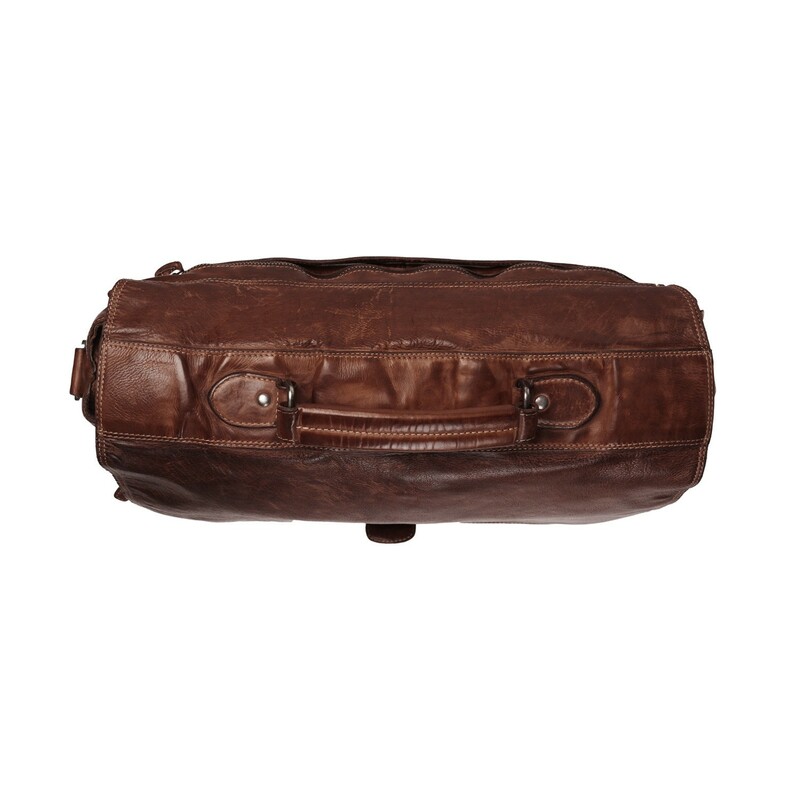 Under the wrap you find a main compartment with 3 compartments. 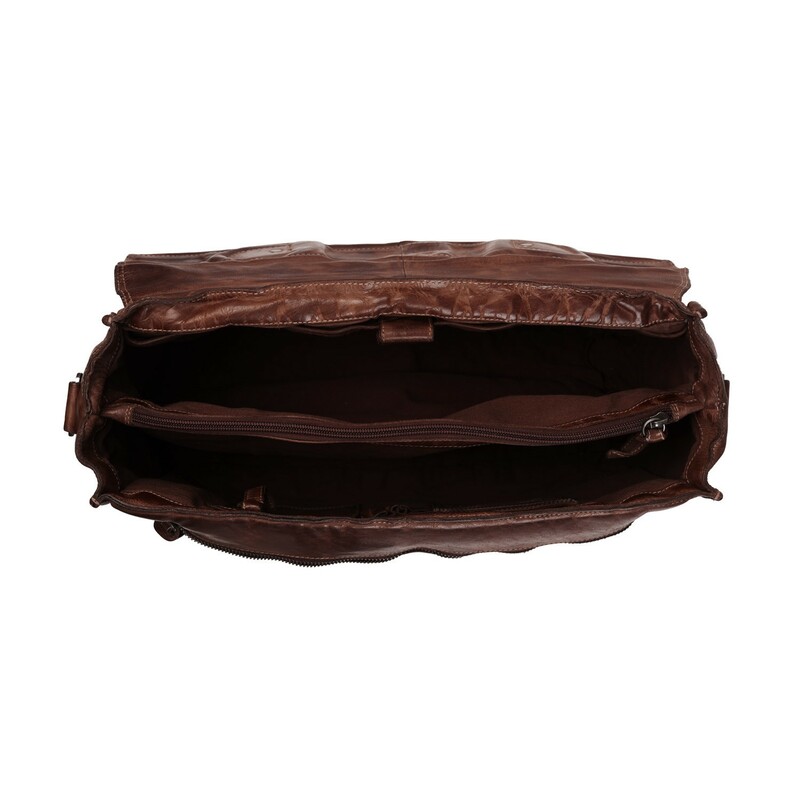 1 of these compartments has a zipper. With this layout you can store all your things in an orderly way. This briefcase also has a reinforced 15.6 inch laptop compartment. This leather briefcase is made of Cookburn Hi Veg leather. This type of leather is characterized by a high quality appearance. Due to the unique finishing, the leather has a slightly shiny look with a duo tone colour experience. 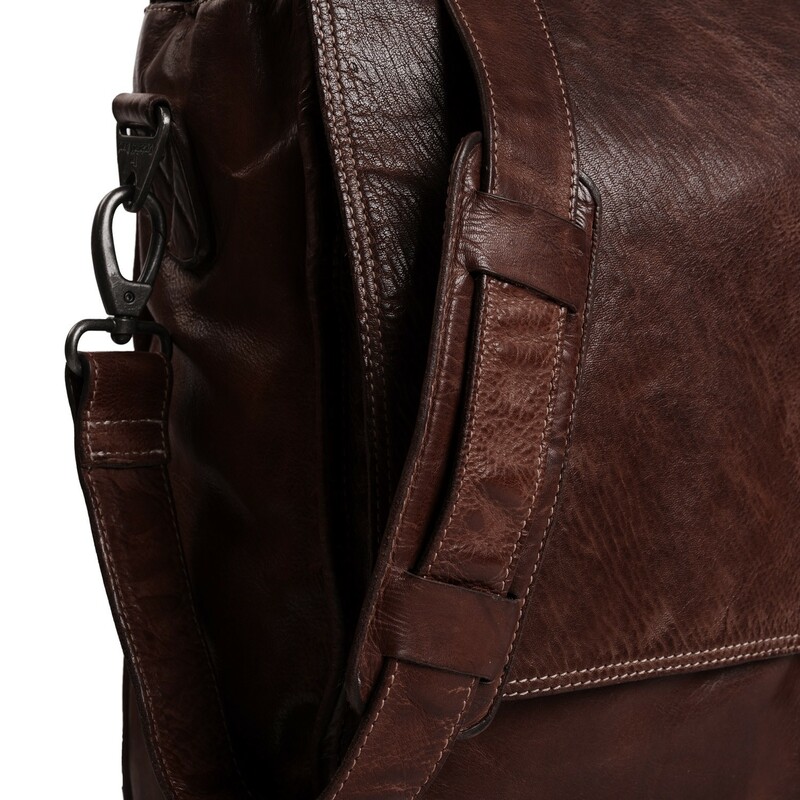 The 'wrinkled' finish gives this bag a vintage look.